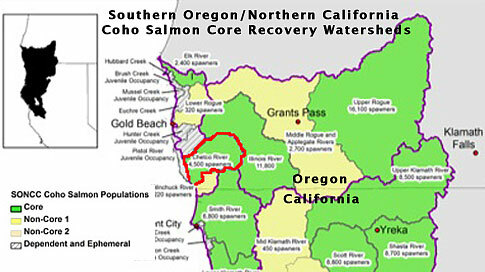 On January 5, 2012, the National Marine Fisheries Service released the draft recovery plan for Southern Oregon/Northern California Coast Coho Salmon (SONCC Coho Salmon). The public now has an opportunity to review the plan and submit comments. Comments must be received by 5:00 p.m. on May 4th, 2012. The Federal Register Notice with more about how to comment is available here. The SONCC Coho Salmon Recovery Plan is available online here. Northern extent of SONCC Coho Salmon Evolutionary Significant Unit. The Chetco River core population area is outlined in red. The Elk, Illinois and Smith River were also designated core populations. 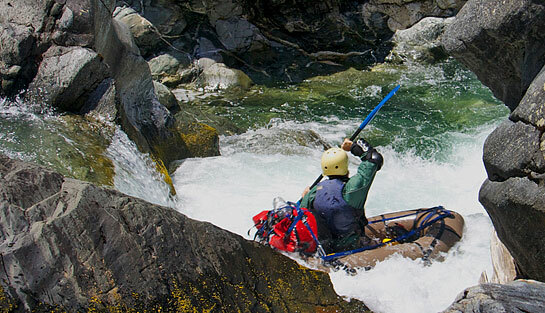 After running the wilderness section of the Chetco River last June I was inspired to design a new SOTAR inflatable kayak that could carry overnight gear. I also wanted a boat that would act more like a small raft rather than a traditional inflatable kayak. My friend Billy Miller paddled an Alpaca on our trip and I noticed some advantages to the larger and non-diminishing tubes. Billy Miller in the boof. Wild Chetco River, Kalmiopsis Wilderness, June 2007. Zach Collier photo. Read more about the design process for the ATV. See video of their trip here. Kudos to John Sellers and guide Tony Sepulveda for their decision to release this beautiful 20-pound wild Chetco River steelhead on January 18th. The Chetco, with almost half of its watershed in the Kalmiopsis Wilderness and 78 percent in National Forest or BLM lands, has proven it's priceless once more. The river was recently featured in a New York Times Guest Opinion A Mining Law Whose Time Has Passed, co-authored by fisheries scientist Robert Hughes. 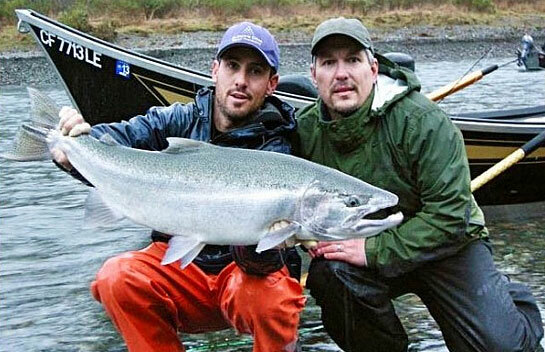 Guide Tony Sepulveda (left) and John Sellers with 20 pound Chetco River steelhead. The river’s gin-clear waters teem with wild trout and salmon, including giant Chinook salmon tipping scales at more than 60 pounds. In 1988, Congress designated the Chetco a national wild and scenic river “to be protected for the benefit of present and future generations. But the river is now threatened by proposals to mine gold along almost half of its approximately 55-mile length. Suction dredges would vacuum up the river bottom searching for gold, muddying water and disrupting clean gravel that salmon need to spawn. Despite the Chetco’s rich fishery and status as a wild and scenic river, the United States Forest Service is virtually powerless to stop the mining because of the 1872 law. 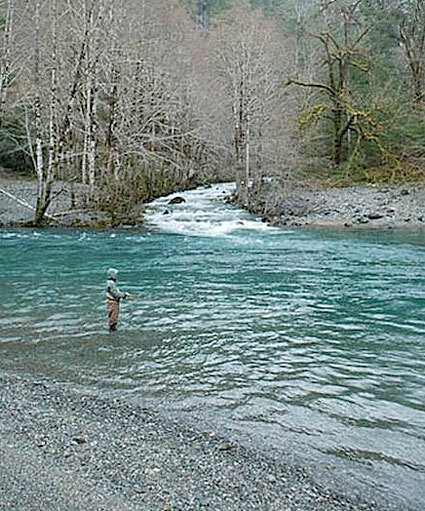 Mikey Weir fishing for winter steelhead on Wild & Scenic Chetco River. Hughes and Woody say the need for a comprehensive overhaul of the 1872 mining law is demonstrated by stopgap measures like those of members of the Oregon Congressional delegation to provide additional protection for the Chetco River, despite it's status as a National Wild and Scenic River.